How do you do it all? Is it even possible? There are thousands of books about time management, multitasking and doing more. This book is about being comfortable with doing less, resting and directing action in a way that energizes or brings peace. 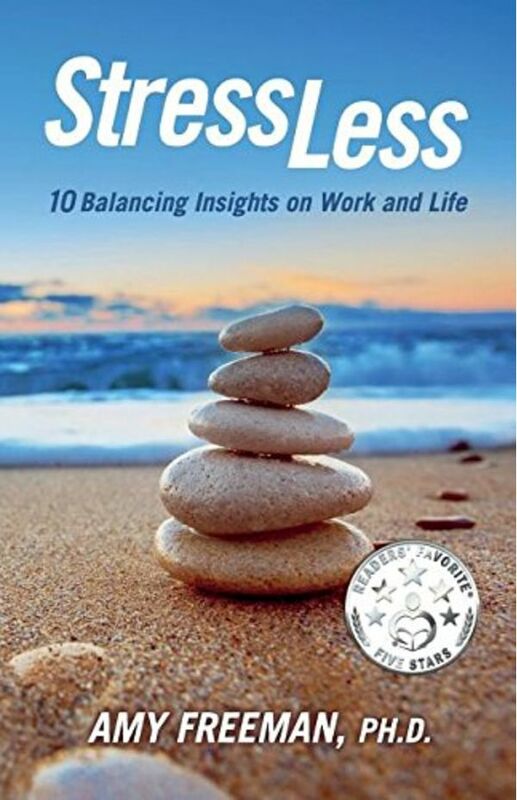 Stress Less offers 10 tangible ways of dealing with stress, balancing a busy life and embracing peace of mind. Themes include: • Saying No, • Asking for Help • Managing time with YOU in mind. Interactive videos can be viewed by scanning the QR codes throughout the book, giving a more personalized viewpoint of the author. These are excerpts from the companion DVD presentation, Finding Your Balance in Work and Life: Truths and Myths about Having It All. Worksheets are provided at the end of each chapter encouraging you to Take a Rest Stop and start making small changes. Start now! Feel better. When you take care of YOU, you'll have the resources you need to share with others. Amy Freeman holds a Ph.D. in Workforce Education.